Dr. David. O Okello at the African Centre for Global Health and Social Transformation ACHEST officesDr David Okello, a retired World Health Organisation (WHO) expert, who in the past 5 years was serving as Head of Mission and Representative of WHO to Zimbabwe where he was responsible for the activities of WHO in the country joined the African Centre for Global Health and Social Transformation (ACHEST) on 17th January 2018 to add his wealth of expertise to the pool of the existing health Think Tanks. Prior to this, Dr Okello served as WHO Representative in Nigeria, Kenya and Swaziland; and for a period of about one year in 2006 was also responsible for overall oversight of the WHO Country office in South Africa. The work of WHO Country Representative involved working with top Government officials to provide policy advice on matters of health and development, and directing the work of WHO – including in-country coordination of WHO technical support using resources available in the country offices and in liaison with the Regional Office and the Global HQ. Dr Okello is a public health veteran, with more than 35 years of national and international experience. He joined WHO’s Africa Regional Office in 2000 and has served during different periods of his career in WHO as Director of WHO Cluster on AIDS, TB and Malaria (ATM) in the African Region, the Coordinator of the Inter-Country Support Team for the East and Southern African countries and as Regional Advisor on Health Research Policy, Coordination and Development. As Director/ Aids TB and Malaria Programme, he supervised WHO’s work in contributing to the reduction of disease burden due to HIV/AIDS, Tuberculosis and Malaria in the countries of WHO Africa Region. 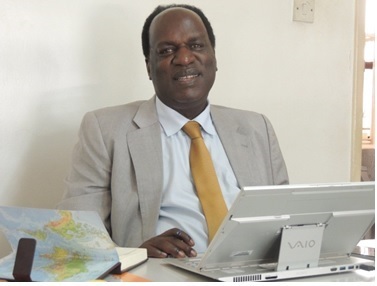 Earlier and prior to joining WHO, Dr Okello spent most of his earlier professional life in the academia, mainly training healthcare workers at Makerere University in Kampala, Uganda; and actively spearheading the generation of evidence-based health research information for policy/decision in Uganda. He has published widely in peer reviewed health journals on a range of subjects in public health. His publications have been extensively cited in journal articles and research papers. He is regularly assigned by reputable international health journals as Reviewer of manuscripts submitted for publications. His current professional interest is in contributing to the prevention and control of non-communicable diseases, and enhancing healthy aging in Africa – through research to generate relevant data for decision making, policy dialogue and advocacy for full public involvement. Africa is facing unprecedented rise in Non-Communicable Diseases (NCDs)-especially cardiovascular diseases, diabetes mellitus, cancers, road traffic injuries and mental health disorders. Most African countries too do not have robust policies and programmes for dealing with the social and health needs of elderly persons. It is against this background that Dr. Okello joined the team to provide his expertise in the NCDs and Healthy Aging programme.